Tony Mayo is one of the Managing Principals and Founders of Atlas Private Wealth Advisors. Tony has served the needs of individuals, families and business owners since 2002. Tony has been practicing financial planning as a CFP® professional since 2006. Among Tony's professional designations, he has been a CFP® professional since 2006 and has received accolades such as a selection as a FIVE STAR Wealth manager as seen in New Jersey Monthly magazine for the 2012 & 2013 years. This elite group of advisors represents less than 1% of wealth managers in the New Jersey area*. 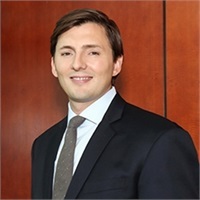 Tony earned a Bachelor of Science from Rutgers Business School in 2002 and holds multiple securities registrations including General Securities Representative (Series 7) through LPL Financial, and Uniform Combined State Law (Series 66) through both LPL Financial and Atlas Private Wealth Advisors. He also has a Life, Accident and Health Insurance license. **2012 and 2013 award based on 10 objective criteria associated with providing quality services to clients such as credentials, experience, and assets under management among other factors. Prior to 2012, award was based on client satisfaction. Respondents evaluated criteria such as customer service, expertise, value for fee charge and overall satisfaction. The overall score is based on an average of all respondents and may not be representative of any one client's experience.